This year's President's Day is on 20 January 2012. 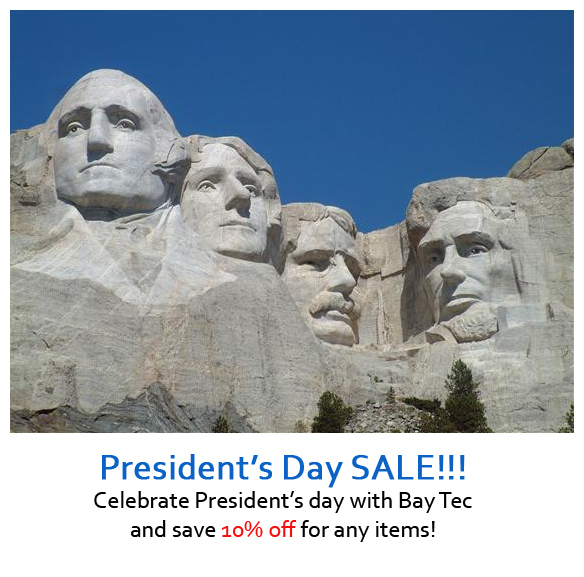 Celebrate it with BayTec Containers and save 10% off for ANY items!!! This sale is only valid for 4 days; from February 17-20, 2012! Online order: type in the Coupon Code: PRESIDENT in the "Coupon box"
Phone order: Call in on Monday, February 20, 2012, and tell our Representative that you're ordering with the Coupon Code: PRESIDENT.